For questions related to streetscape maintenance, business resources, navigating City services, member support services, marketing and events or leasing space in Parkdale. For City waste collection, street and sidewalk maintenance, damaged garbage bins, water main breaks, tree removal or comments/complaints. For concerns or feedback on local development, community issues, or city planning. 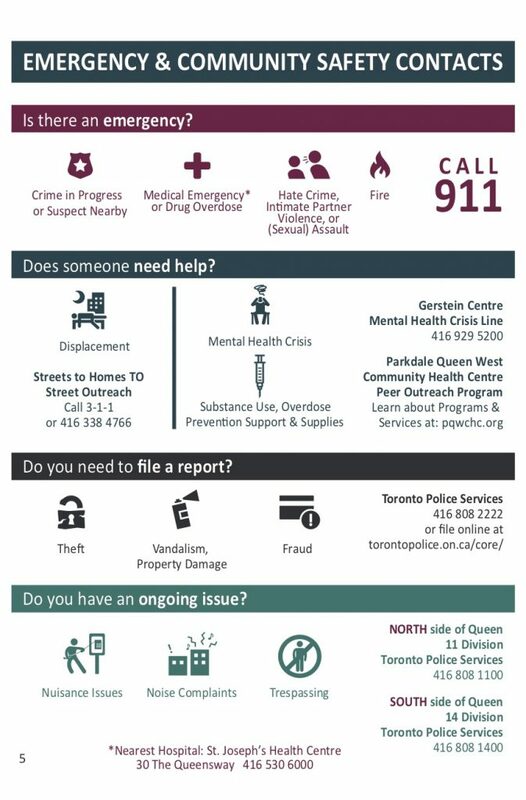 There are a number of local resources available to help you respond to both emergency and non-emergency situations you may encounter while doing business in Parkdale. When you contact the right service agency you help improve the efficiency of local resources to better address community challenges. Thank you for doing your part, click here to download the 2019 Community Safety Contacts.